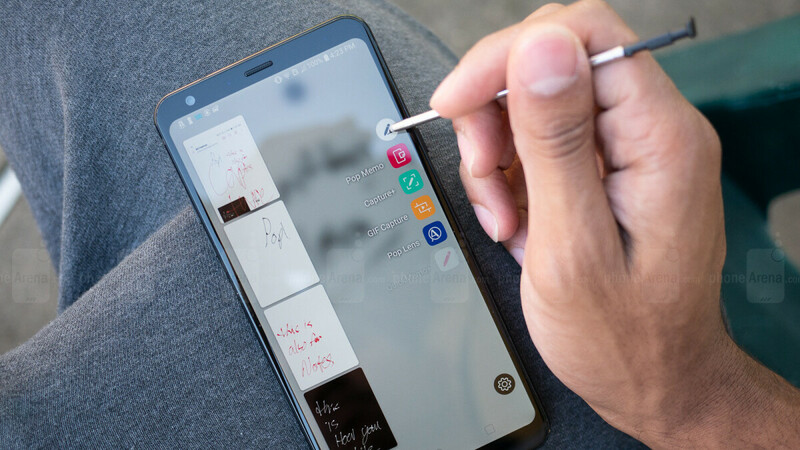 Until Apple decides to add official Pencil support to iPhones, making Steve Jobs turn in his grave, Samsung is likely to be left all alone in the high-end pen-wielding handset category. But those that would love to be able to take handwritten notes on a relatively affordable device actually have quite a few interesting options available stateside. LG’s Stylo series can be rather confusing, so let us help you out by recommending the unlocked Stylo 4. Commercially released just a few months ago at a reasonable $299 recommended price, the 6.2-inch mid-ranger is up for grabs for a limited time from B&H Photo Video at a more than decent discount. We’re talking a cool $70 off, or $60 lower than B&H’s usual $289.99 price. Either way, you have until 11:59 pm ET tomorrow, October 6, to take advantage of this very advantageous deal. Fully compatible with both GSM and CDMA networks nationwide, Verizon, AT&T, T-Mobile and Sprint included, the LG Stylo 4 is obviously backed by a limited 1-year warranty, qualifying for free expedited shipping as it exceeds $49. A built-in stylus that’s naturally less powerful and versatile than Samsung’s S Pen is undoubtedly the key selling point here, but you also get a number of other appealing specs and features for that marked-down $230 price. The 2160 x 1080 (FHD+) “FullVision” display is not only large, but also tall and handsome, with relatively thin bezels all around, while a Snapdragon 450 processor is found under the hood, maximizing the efficiency of a 3,300 mAh battery. Though not exactly a powerhouse, the LG Stylo 4 packs a respectable 3GB RAM and 32GB internal storage space, running Android 8.1 Oreo on the software side of things, no doubt with a sweet slice of Pie already in the works. "... no doubt with a sweet slice of Pie already in the works." Don't be too sure. This is LG we are talking about. This device is a great buy. SD 450 1.8 GHz octa core CPU, with OpenGL ES 3.1+, and Vulkan support. An on board stylus/pen supported. NFC and payment supported. It even has a gyroscope for VR (Cardboard apps), and a lot more. The staff confirmed "This phone version does not feature NFC pairing. " For NFC, only the Tmobile,metro,At&t version. So why would Sprint or Verizon not have NFC? That is BS. Staff confirmed my @$$ liar.